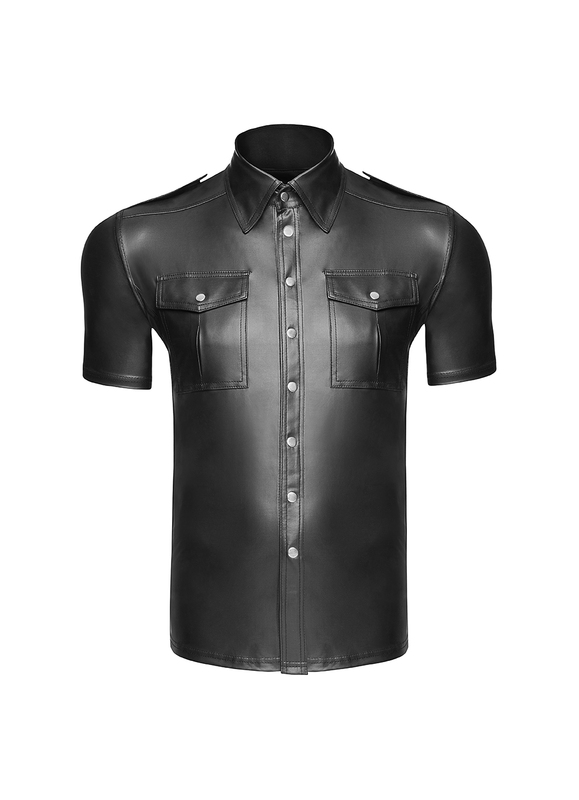 Sensational finely detailed shirt with tulle and powerwetlook. Strong shapes with eyelet tape. An absolut must-have. Rocker-style close-fitting tulle shirt with eyelet tape in front. Back of the T- shirt is made of powerwetlook.